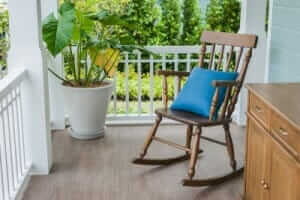 These days, people are looking for a durable, low cost option to meet their flooring needs. Using a VCT, or Vinyl Composition Tile, people are able to get the look and feel they seek without paying a high cost. This type of flooring is created using Polyvinyl Chloride, or PVC. It’s designed to work well in high-traffic places like commercial and sometimes institutional areas. You can also find plank vinyl in a self-install form that can make installing flooring a lot easier. Because it’s so new to the residential market, it can be tough to find resilient flooring manufacturers that can offer the ideal quality of plank wood flooring. However, it isn’t impossible to find places for buying resilient materials, as vinyl plank flooring is sure to flourish on the market in no time. In modern times, there are at least 5 popular plank vinyl brands that you can choose from. This gives you some options to choose from as far as pricing, styles and availability in your area. You’ll find a little information on these brands below! Many of the styles offered by this brand are very thin, which allows them to generate such low prices. You’ll be able to find varieties that get all the way down to 1.5mm. However, you’ll also be able to find at a more normal 5mm size, which is available in 7” wide segments, which are a little bigger than normal tiles. From this brand, you’ll be able to get some thicker options at around 6.5mm. Many of these options are top-of-the-line, but you can find some that are more within the normal range of cost. This is an option that is only available online. If you’re seeking to buy in bulk, you can also get great deals at very low prices. It’s a great option if you’re looking to floor a large space, or your whole house. If you’re looking for options that look like real wood planks, this is the company to go with. You’ll be able to find planks with a variety of features such as pleasant coloration, micro-bevel edges and embossing that is very realistic. For the perfect balance of quality and cost, Armstrong is a fantastic option. You’ll be able to get pieces that look very realistic as well as those with a good amount of thickness. They’re also known to ensure great warranty customer service! There are a wide variety of shapes and sizes you can get, depending on what you’re looking for. You also have the option of getting actual tiles or buying it in sheet form if you want to cover a larger area more quickly. In most cases, those sheets come in 6 or 12-foot wide sections. Meanwhile, tiles are often provided in 12 x 12 inch styles, or sections with 6-73/4” width and lengths of around 48”. If you’re looking for something meant to look like wood, you’ll want to ensure the option you choose is well-embossed. That typically means you’ll need to find a thicker option because the thinner styles cannot be embossed as deeply. If you’re looking for something really authentic, you’ll also be able to find options that look scraped, distressed, or have the appearance of nail holes. Naturally, this depends on the style and size you’re looking for, but the absolute cheapest options are available for a dollar or less in many situations, per square foot. Comparatively, that’s quite a bit lower than many other flooring options out there. What Do Luxury Options Cost? For those willing to spend a little more, there are higher-quality vinyl plank options anywhere from $3 to $6 per square foot. At this cost, you’ll be far more likely to end up with vinyl that you are able to enjoy for many years, rather than needing to replace it in a year or two. Vinyl plank is an option that comes in at around the same cost as laminate, but can sometimes be even less expensive depending on the option you choose. It can also be considered comparable to porcelain or ceramic tile options, but the latter can often run higher due to the added need for things like grout, thinset and other tools specific for tiles. Should I Go With The Cheapest Option? You certainly can go with the less expensive option, but expect it to be thin in comparison to other options. That doesn’t mean there aren’t ways to make it look good. One thing you can do is get planks that have the appearance of one wood plank per vinyl plank as opposed to the appearance of multiple wood planks. Also, keep in mind that because these options are so thin, some can easily break while you’re installing them. Because of that, you’ll really need to consider whether a more expensive option might be more efficient. Click-Lock Join Systems or Adhesive Join? This is largely going to depend on whether you want to install it yourself or have a professional do the job. A professional may have no trouble with adhesive join options, but click-lock options can give you a little more wiggle room. What that means is, you’ll have more ability to move the board around and re-join them as needed. To keep in mind that this ability isn’t limitless, so make sure you’re careful with how you install the planks and get them into the right placement as quickly as possible. Very much so! Unless you purchase planks that are especially fragile, there is a low chance that you’ll make an irreparable mistake. Click-lock options can allow you to change things around if it isn’t getting installed the way you want it. It’s also very easy to learn to do, meaning that just about anyone who needs flooring can pick up this option quickly enough to be able to install their flooring themselves. You also won’t need any special tools that can make the process more complicated and expensive than it needs to be. 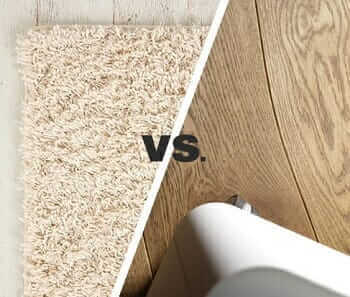 How Does The Ease Compare With Other Flooring Types? Aside from laminate flooring, there is no flooring easier to install than vinyl plank. This is really useful considering how great it can look when it’s finished. On the other hand, many people consider laminate to look lower-quality by comparison. 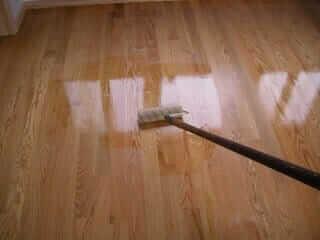 However the laminate flooring cleaners are one of most inexpensive in the market. Many other flooring types can get messy, expensive and are more difficult to learn. They can also not leave a lot of room for mistakes, which can get frustrating for those who prefer to do it themselves. Meanwhile, plank vinyl allows you to change things around when you need and are generally quite easy to get installed. At its most basic, the process of installing vinyl planks is very simple. You find the style you want and lay the planks as you want them on your floor without attaching them. This can give you a good idea of how it will look. Consequently, you can make adjustments prior to clicking the planks together. Then, you can set about clicking the pieces together on the ends and sides. You can also use a utility knife to cut the ends when needed. If you find that you need to cut pieces so that they can fit around appliances or other obstructions, then you can use a fine-bladed saw to do so quite easily. When you’re shopping for vinyl plank, you’ll find that there is a massive variety to choose from. There are also several price points so that anyone can find what they’re looking for. Furthermore, you’ll have the ability to choose between tiles or sheets so that you can easily cover the amount of space you need. While this might not be something you think of when looking for flooring, it can create a very nice feeling for your feet. It can also be a little more comfortable for those who spend a lot of time on the ground, like children or pets. Just like installation, keeping your vinyl plank floors maintained is a simple and easy process. Because it’s naturally resistant to stains and water, cleaning up spills is much easier than it would be with real wood or other materials. 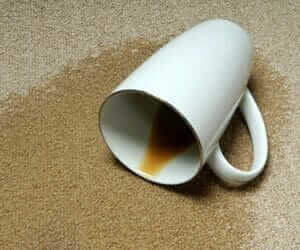 You may find that vinyl floors can be easy to dent or otherwise damage due to their softness. This can depend on whether you get planks or sheets as well. Many people find that the planks have a bit harder surface, but can still receive damage. 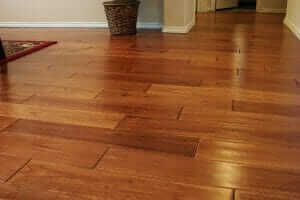 Many people who are shopping for homes tend to prefer premium wood flooring, like real stone or wood. Because of that, using plank vinyl isn’t likely to do a lot for the resale value of your home. That’s not to say that it brings down the value because any renovation is an investment, but it won’t increase the value as much as a premium flooring option would. That said, it’s going to be your choice whether or not that’s a problem for you.